When magnet advertising is peaking in popularity, advertisers are getting very creative with their campaigns. They understand that customer expectations have changed and it is becoming necessary to approach them in influential ways. 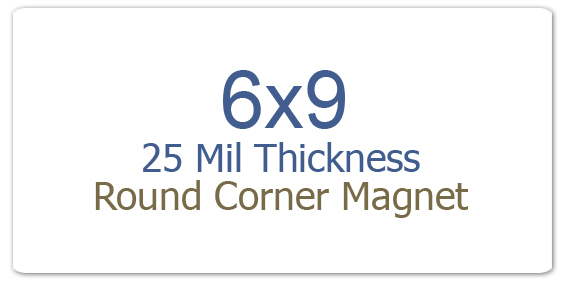 Today, there is an abundance of variety, when it comes to selecting promotional magnets in rectangle and squares, but still many marketers prefer to settle for 6×9 magnets. Why? Because they offer one large rectangle for expressing thoughts or business information. Here are 5 great promotional magnets 6×9, which can make an asset to your campaign. Who said they are only good for big businesses? Perhaps whoever said it has forgotten that calendars are good for all and people refer them each day of their life. It doesn’t matter, whether you are a big brand or a start up business gifting away calendar magnets, you are sure to succeed because people would love them instantly. They would retain customized magnets over their refrigerator doors or other visible places at home, where they are likely to frequent more often. Sports schedule magnets are perfect for buying attention of sports fanatics, who may turn your loyal customers. You can use 6×9 magnets for cultivating the sports spirit, attracting clients to your business and for promoting a sports team. Sports schedule magnets are perfect for sports teams, sports marketers, local youth councils, amateur sports teams at school or collegiate level, etc. It is perfect for uniting people across vast segments because sport is a religion with no barriers. Americans love to bond and forget animosities, when they are enjoying a match. Perhaps you may share the credit for uniting people, too. Who knows?! You know perfectly know what they mean isn’t? Leaving the basic designs, you can easily go for mature designs of business flyers, which also double up as immediate call for action token. This means you can use them as discount coupon, savings coupon or anything you like. People would be happier to retain promotional magnets over their refrigerator doors, if they find it appealing and informative. You should try to utilize a promotional magnet for conveying maximum brand information in short and crispy language. Customized magnets with holiday wishes make a great choice for marketers who are looking forward to craft lasting relationships with their clients. Holiday greetings are always great impression builders and people love to retain them over their refrigerator doors. A look through this colorful magnet may offer them temporary relief, too. This promotional strategy is perfect for all businesses, which wish to buy impact without sounding like a penny-fleecing butcher. People would always take pride in believing that their favorite brand took time to appreciate their involvement and wish them for the holidays. Postcard mailers are perfect for buying attention of the crowd, which you wish to mingle. Earlier marketers sent promotional postcards to inform their customers about special sales or sharing some typical business information. Now, they are replacing it with customized postcard mailers with magnet backing. They know people have a special affinity for impressive post card mailers. Marketers can employ magnetic postcard mailers for preselling before the start of the next trade show. They cost slightly more than First Mail postcards. You can easily explore many other ways of branding using customized 9×6 magnets.